It takes a lot more than just booking a flight online to prepare for a field expedition to Cabritos Island. Years of project planning, coordination, and partnership building go into every restoration project we undertake. 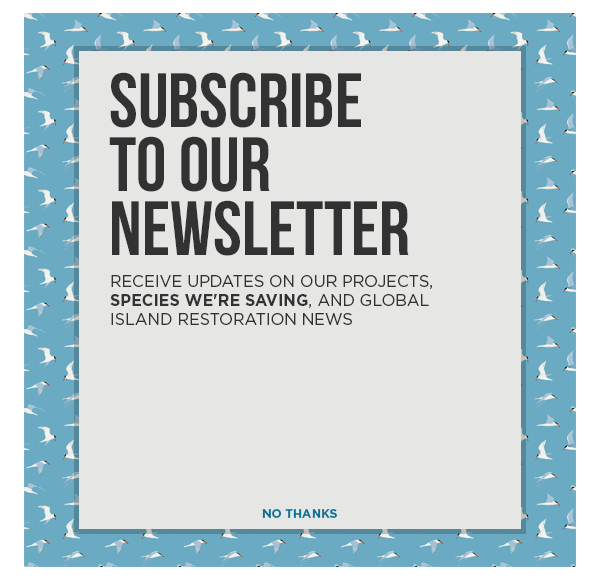 Island Conservation is supporting The Dominican Republic’s Ministry of Environment and Natural Resources and SOH Conservation to restore Cabritos Island and protect its two threatened native iguanas by removing invasive species. Check out the video below to a get a sneak peak of Cabritos Project Manager Wes Jolley preparing for a trip out to Cabritos Island. The team on Cabritos Island is steadily making progress towards permanent protection of the Critically Endangered Ricord’s and Endangered Rhinoceros Iguana by completing the removal of invasive species. Overall things are going well but we’ve had some mechanical difficulties with the project’s ATV. The ATV is critical to transporting materials and people across the island and creating a track pad to monitor invasive species. In January, the team started the ATV and it ran smoothly for about two minutes before dying a true death. Local mechanics could do nothing so we patiently waited for the dealership’s highly-trained mechanic to service the ATV. The mechanic determined that the engine was ruined, and although he didn’t know the cause, he did have some good news – he was confident that whatever happened wasn’t our fault. We were hopeful as the mechanic took the engine back to Santo Domingo to assess things more thoroughly and start a warranty claim. I was feeling a lot better about the whole ATV situation for about week until we learned that the entire ATV dealership burned to the ground the prior weekend, our engine with it. The only things we knew early on was that the shop had no insurance and that everything was lost. You can see pictures HERE. The company’s owners are good people, so we are feeling very sad for them, but also worried about what will come next. Thankfully, we recently learned that a new engine has been ordered and is on its way to the country. Our fingers are crossed that one day soon our ATV will live again. The team drags tree branches along the road creating an 8-mile long track pad. Its also easily checked while driving the next day. The ATV breaking may have slowed us down, but it hasn’t come close to stopping us. The team has really stepped it up this year. I’m proud of them because removing these final invasive species requires commitment, endurance, and technical skill. The introduced burro and feral cat population is now very, very low with just a few individuals left. It’s been almost a year since we were on Cabritos Island helping get the final push started to protect the Critically Endangered Ricord’s and Vulnerable Rhinoceros Iguanas. As I look back over the past year, I marvel in wonder at the things we (the collective ‘we’, including all our incredible donors) have achieved. Time is running out for the highly threatened species of the world. When we do nothing, we risk losing them forever. It is because of you, people who take action to stem the tide of extinction, that these species are saved. Looking forward, I am excited to see the signs of recovery from our work. We are now entering the beginning of the iguana breeding season. Soon, tiny hatchlings will begin crawling out of their shells and into the nearly predator-free environment of Cabritos Island. Their chances of survival improve every day, and that is because of your support of this important project.